I haven't written a Friday Finds in months, so I knew I just had to write one for this month. You will have to excuse the change in format for this post, as Blogger have updated their editor and I am struggling to work out how to use it. I found this one in Sussex Stationers before I went on holiday and never got around to purchasing it. If you loved 84 Charing Cross Road and The Geurnsey Literary and Potato Peel Pie Society then you will love this. Dear Mr Bigelow is an enchanting selection of weekly ‘pen-pal’ letters written between 1949 and 1961 from an unmarried woman working at the Pier Approach Baths in Bournemouth, to a wealthy American widower, living on Long Island, New York. 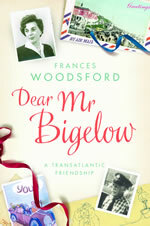 Frances Woodsford and Commodore Paul Bigelow never met, and there was no romance – she was in her forties when he died aged ninety-seven – yet their epistolary friendship was her lifeline. The ‘Saturday Specials’ as Frances dubbed them, are brilliantly-packed missives, sparked with comic genius, from post-war England. We follow her travails at the Baths (and her ghastly boss Mr Bond); the hilarious weekly Civil Defence classes as the Cold War advances; her attempts to shake off Dr Russell, an unwanted suitor; life at home with Mother, and Mac, her charming ne’er-do-well brother; and escapades in their jointly-owned car, a 1934 Ford 8 called Hesperus. Most importantly, we get to know Frances – and her deep affection for Mr Bigelow. She started to write to him as a way of thanking his daughter for the clothes and food parcels she sent. But what had begun as a good turn offered Frances the chance to escape a trying job, and to expound with elegance, wit and verve on topical subjects from home and abroad, bringing us a beady commentary on her life and times that leaps vividly from the page. Her letters to Mr Bigelow during his final illness are a tender and moving farewell, a touching conclusion to a unique record. I am not sure where I found this book, so if you reviewed it please let me know. The attempted suicide of Mary Wollstonecraft opens this carefully researched, deeply imagined and gorgeously written novel about the Romantic poets, as seen by the women who loved them: Mary Wollstonecraft's daughter, Mary Shelley, who fell scandalously in love with then-married Percy Bysshe Shelley and wrote Frankenstein at age 19; the passionate but untethered Lady Caroline Lamb, who never got over her love for Lord Byron; charming Fanny Brawne, devoted to her consumptive fiancé, Keats; and Augusta Leigh, half-sister to Byron, notorious for her incestuous affair with him. Dense, empathetic, detailed portraits of each woman lift them above their iconography; even Byron, in all his famous charm, is convincingly rendered. The poets, of course, are doomed—Byron, fighting in the Greek war of independence, dies of fever; Shelley perishes in a boating accident; and Keats succumbs to consumption. Morgan concludes with a series of carefully crafted plateaus that evocatively capture the women in varied states of acceptance, ambivalence and longing after their losses. I found this over at Ladybug's blog 'Escape In A Book'. I found this one over at Ladybug's site too. Here is the blurb from her post. Fifteen-year-old Bridget Liu just wants to be left alone: by her overprotective mom, by the hunky son of the police officer who got her father killed, and by the eerie voices which she can suddenly and inexplicably hear. Turns out the voices are demons - the Biblical kind, not the Buffy kind - and Bridget possesses the rare ability to banish them. San Francisco's senior exorcist and his newly assigned partner from the Vatican enlist Bridget's help with increasingly bizarre and dangerous cases of demonic possession. But when one of Bridget's oldest friends turns up dead in a ritualistic sacrifice that mirrors her father's murder, Bridget realizes she can't trust anyone. An interview with her father's murderer reveals a link between Bridget and the Emim: a race of part-demons intent on raising their forefathers to the earth in human form. Now Bridget must unlock the secret to the Emim's plan before someone else close to her winds up dead, or worse - the human vessel for a Demon King. Is it too early to put these books on my Christmas list. Hmmm! Some great choices. I love the look and sound of Banish. I haven't heard of any of these, but a couple do sound good to me. I'm at a book trade show and there was lots of buzz for Halo last night! 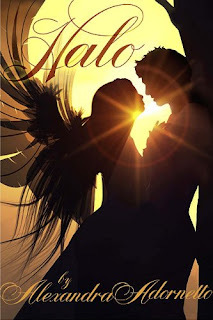 Ana reviewed Passion not too long ago--maybe it was her? Great finds, they all look good. Passion does sound very good. I've also had my eye on Halo. I'm reading Halo right now! I'm only about 50 pages in, but so far its good! Dear Mr Bigelow sounds like a book I would enjoy. And that cover of Halo is gorgeous! I've been seeing a lot about Halo recently but didn't know what it is about. The cover is FANTASTIC!! I've added Dear Mr. Bigelow to my wish list. It looks like a book I would enjoy. Banish sounds fascinating! Enjoy all these great reads Vivienne! Dear Mr Bigelow is herby added on my wish list :) I loved the Guernsey novel. For BANISH, too soon for this Christmas. It's scheduled for release Fall 2011 by Balzer + Bray for HarperCollins. And thank you SO MUCH for the plug!!! !